Our Los Gatos drain cleaning is happy to provide premium drain cleaning services to meet your specific needs. Our drain cleaners have been well trained and know how to unclog your drains with ease. Whether you have a drain problem in your kitchen, bathroom, or basement, our experienced Los Gatos drain cleaners can give you the fast assistance that you need. Our goal is to remove all of the debris that has built up so that your system will work the way that it is supposed to. Drain problems can happen for many different reasons. 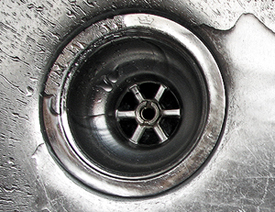 If you have a clog in your kitchen sink, it could occur over time because of fats, grease, and soap buildup. These deposits stick to the walls of your pipes and can cause serious clogs, but our drain cleaning in Los Gatos will cut through the clogs and make sure that water is flowing through your pipes in no time. We offer reliable and fast drain cleaning in Los Gatos, so give us a call at (408)215-4612 today. Bathrooms can also have drain issues. Tubs, showers, toilet drains, and sinks can all become clogged over time. Shampoo, conditioners, and soap along with hair can become clogged in your drain. In your sink, toothpaste can cause problems. Access paper products in your toilet can also lead to issues. We offer reliable San Jose and Los Gatos drain cleaning services that you can count on. Our team wants you to contact us when you need a Los Gatos drain cleaning company that you can rely on to give you the best services possible. We offer fast rooter service in Los Gatos. We are happy to take care of the drains inside or outside of your home. Our rooter service in Los Gatos is always done with quality products and by skilled experts that understand your needs. When you need professionals to get rid of debris and buildup that clogs your drains, our team of professionals is ready to assist you right away. We will provide you with premium services that will help your drains to work proficiently. Contact us when you need a Los Gatos drain cleaning company that will take care of your specific drain cleaning situation.